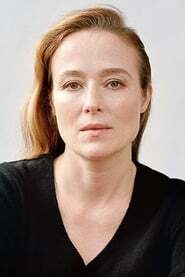 Jennifer Ehle ( born December 29, 1969) is a British-American actress of stage and screen. She is known for her BAFTA winning role as Elizabeth Bennet in the 1995 mini-series Pride and Prejudice. Description above from the Wikipedia article Jennifer Ehle, licensed under CC-BY-SA, full list of contributors on Wikipedia. as "Brooklyn Ice House Bartender"
as "Empress Zita of Austria"